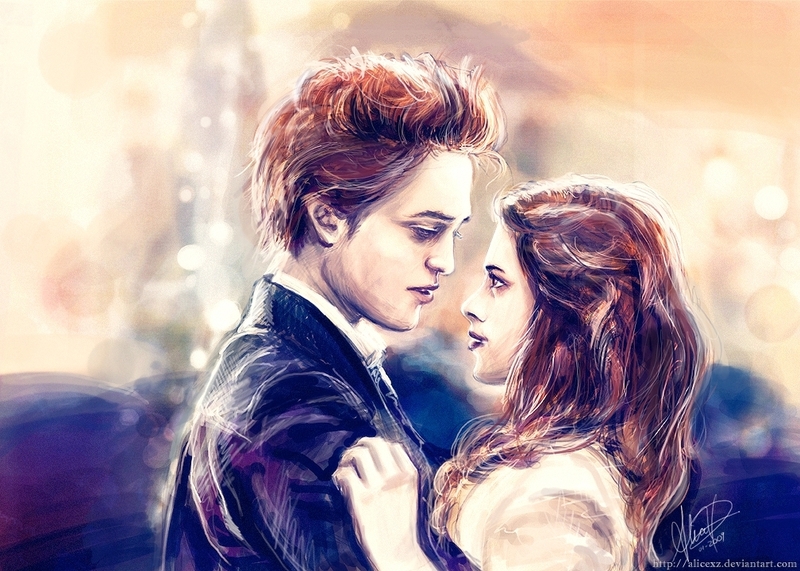 Twilight Fanart (By Alicexz). All credits go to alicexz of Deviantart. Check out the rest of her art at She's totally wicked with what she does. ;). HD Wallpaper and background images in the Twilight Series club tagged: twilight fanart edward bella swan alicexz jasper alice emmett rosalie. This Twilight Series fan art contains portrait, headshot, and closeup. There might also be attractiveness, appeal, and hotness.